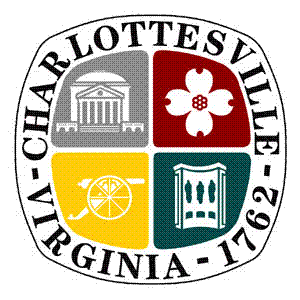 After additional coordination with the design consultant for the Belmont Bridge Replacement Project, the City of Charlottesville is altering the plan for the reconfiguration of pedestrian access adjacent to the southbound lane of the bridge. Previously, plans were announced to close the sidewalk entirely and move pedestrian traffic into a protected lane of the roadway. However, preliminary examination of the demolition phase has shown that to maintain two-way traffic and pedestrian access during the bridge replacement project, the existing sidewalk would need to be used during construction. The existing sidewalk will now be modified so that it is adequate for pedestrian traffic rather than relocating pedestrian traffic off of the sidewalk. While the sidewalk is modified, pedestrian traffic will be temporarily moved into the newly striped bike lane. Following the installation of the new concrete, the bike lane will be re-established and the current striping pattern will remain. The new sidewalk will maintain the current level of accessibility and the contractor will comply with ADA standards during construction. The work is anticipated to begin in the next couple of weeks and be complete around the end of April.